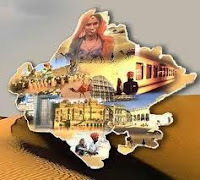 Rajasthan GK Question in Hindi Sample Paper 139: Rajasthan General Knowledge Sample Question Paper with Collection 10 Question of Rajasthan GK Questions for RAS, Rajasthan Police, REET, SI, Contable, Patwari and other state exams under GK Quiz in PDF @ Rajasthan GK Sample Papers. Rajasthan General Knowledge (GK) and General Studies (GS) Questions from various examinations of Rajasthan Govt. and central Govt Examinations. Q.2993 'तूंगा का युद्ध' 1787 ई. में जयपुर के किस शासक के द्वारा लड़ा गया? Q.2995 'किसान आन्दोलन' के दौरान 'ऊपर माल पंच बोर्ड' नामक संगठन के संस्थापक कौन थे?